Can't decide which fax cover sheet to download? Don't decide — you can get every fax cover sheet on this site for just $37. You'll get more than 150 fax cover sheets to use in your business communication! 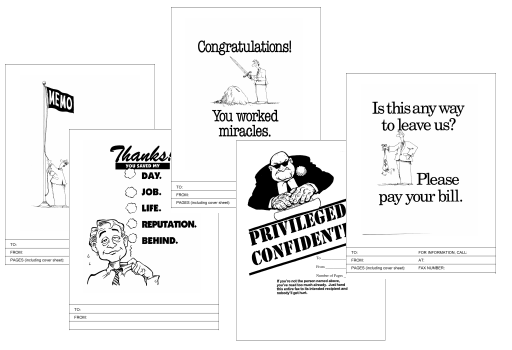 That way you can be sure to have a cover sheet on hand for every purpose — funny and memorable fax cover sheets that will get your notes noticed! When you buy the complete fax cover sheet package, you'll receive both PDF and Microsoft Word versions of every cover sheet. You'll be able to download them immediately, and use them in your faxes today!